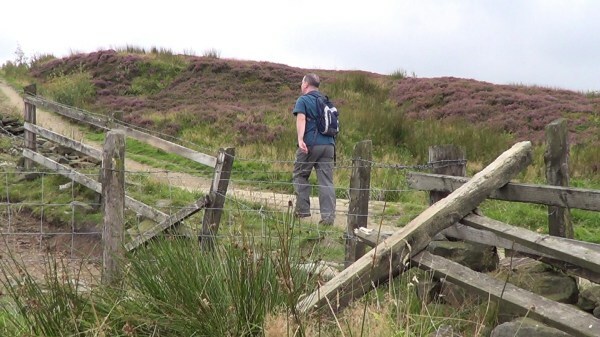 Filmed in the West Pennine Moors in the county of Lancashire. 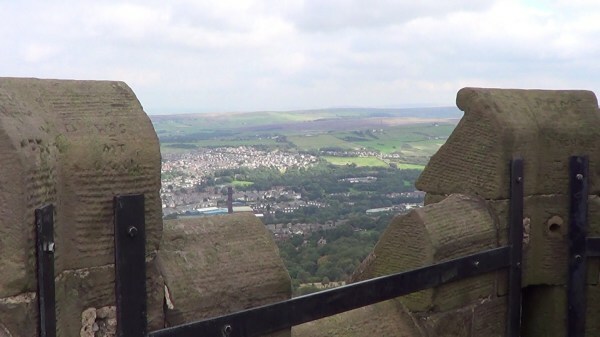 Locations include Darwen Moor , Earnsdale Reservoir, India Mill Chimney and Jubilee Tower . 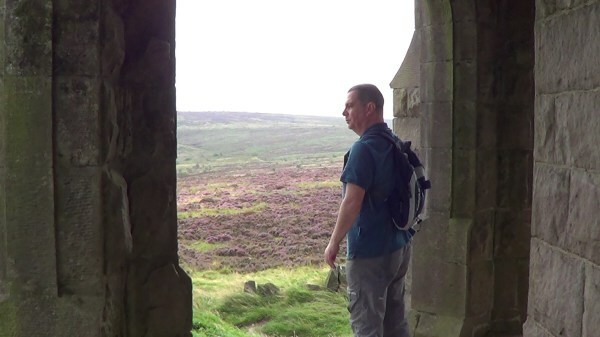 Even before I had made two films on the West Pennine Moors I knew I would be making a third. 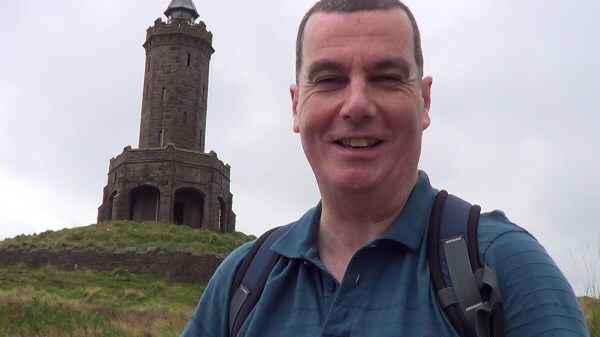 I found another walk during my research in the area, which also featured a tower, i.e. 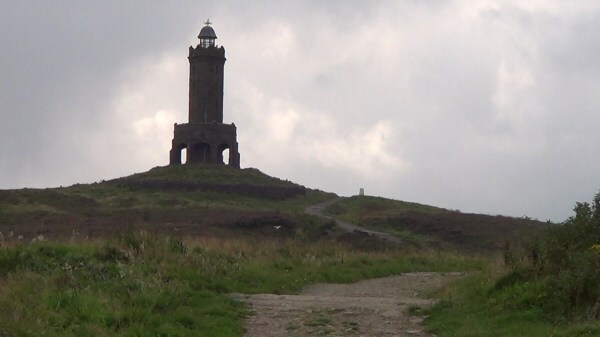 the Jubilee Tower on Darwen Hill above the town of Darwen . This tower looked like it might be even more interesting due to the fact that it was open to the public every day of the year. 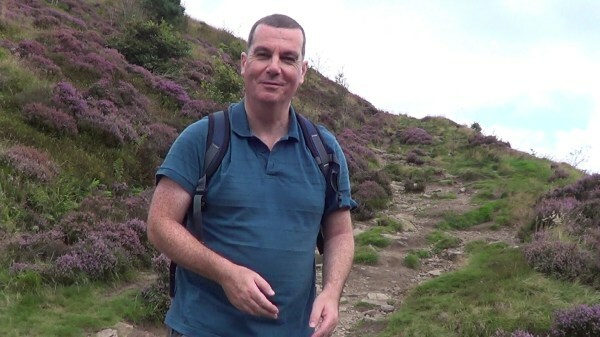 I found a circular walk of about 4 miles in my guide book of Lancashire walks , so this seemed a good one to film. 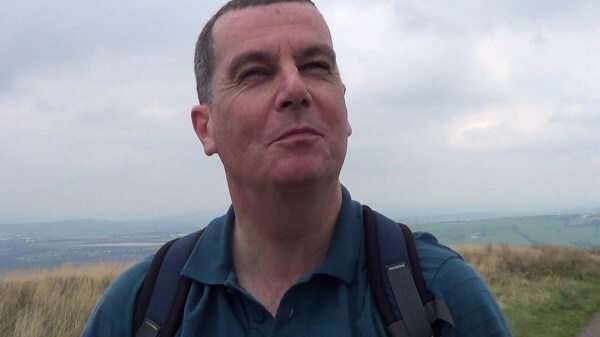 On Tuesday 30th September I drove to the location of the start of the walk, which was a car park behind the Royal Arms pub on Tockholes Road where there is also a café and information centre . Filming a shot, which I thought was quite clever at the car park I started the walk as I took a path through Tockholes Plantation. Just before reaching the Roddlesworth Reservoirs the walk climbed up onto the road again, where I crossed to Dean Lane, part of the Witton Weavers’ Way . I followed this track down to Earnsdale Reservoir, where I took various shots of the lake and the dam as well as great shots of Jubilee Tower overhead. 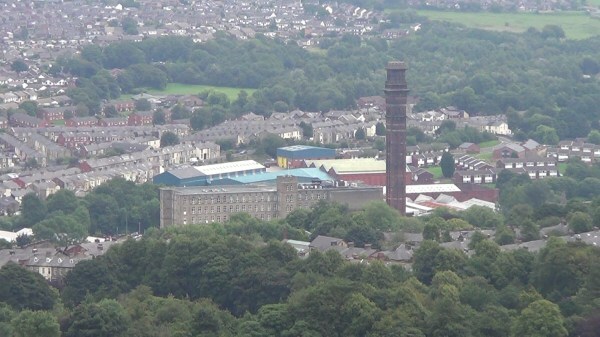 Heading on from here I climbed up to get great pictures of the views as I made my way towards Jubilee Tower, which included Darwen and its India Mill chimney. 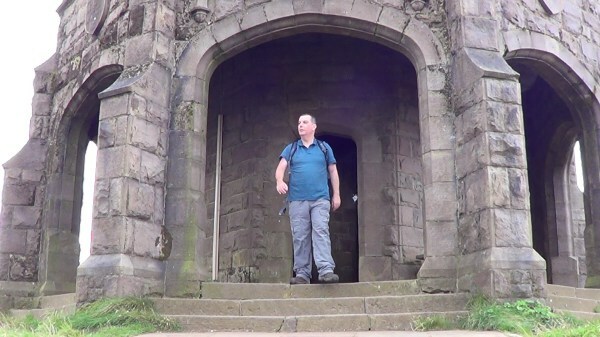 Then I reached Jubilee Tower itself, what a wonderful place! I captured so many brilliant shots here, outside and inside the tower. It was a joy to get so much variety on film, e.g. the internal spiral staircase, the circular viewing platform a little way up, the very top of the tower, and of course the fantastic views. After having captured so much at this great place I eventually walked on across Darwen Moor to Stepback Clough, from where I got the last few shots of the day as I headed back to Tockholes Road. I ended my day with a quick drink inside the Royal Arms before making my journey back home. 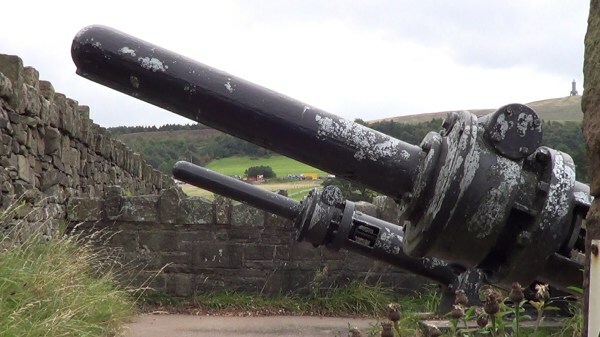 I eventually chose to call this film “Destination of Darwen” when I came to start the post production. Based on my success of the music for the two preceding videos I had made in the West Pennine Moors I composed a similar soundtrack, but still sounding different and unique in its own way.